As per the contest page on your website, KidTripster may retain personal information (name, email address) supplied by entrant on entry form for administration of contest and future newsletter distribution. Entrants’ information also may be shared with the sponsor(s)/vendor(s) that is supplying the prize for its administration and marketing purposes. 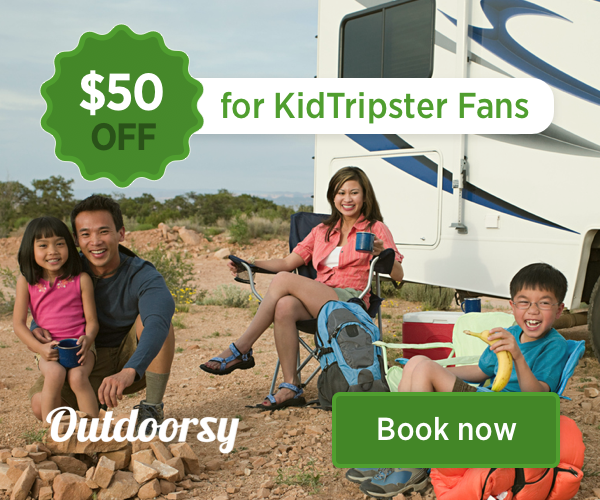 Information will not be shared with any third party entities by KidTripster or specified sponsor(s)/vendor(s). By entering the Contest, entrants are agreeing to receive email communications from KidTripster and related sponsor(s)/vendor(s). We also protect your information offline. Only employees who need the information to perform a specific task are granted access to personally identifiable information. The computers/servers in which we store personally identifiable information are kept in a secure environment. We may elect to use "cookies" on this site. A cookie is a piece of data stored on a site visitor's hard drive to help us improve your access to our site and identify repeat visitors to our site. For instance, if we use a cookie to identify you, you would not have to log in a password more than once, thereby saving time while on our site. Cookies can also enable us to track and target the interests of our users to enhance the experience on our site. Usage of a cookie is in no way linked to any personally identifiable information on our site. We may disclose your personal information, if we are required by law to do so or if you violate our Terms of Service.